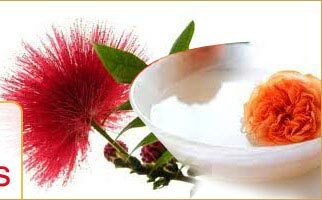 Color & Odor : An amber colored liquid with slightly spicy, heavy, sweet fragrance. Tuberose Oil is obtained from perennial plant that has long stems & white, very odorous flowers. Methyl benzoate, menthyl anthranilate, benzyl alcohol, butyric acid eugenol, nerol, farnesol and geraniol. 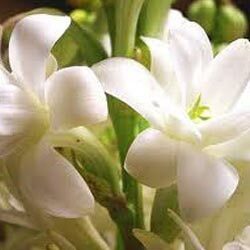 Tuberose essential oil behaves as an aphrodisiac and its very strong, intense and intoxicating floral fragrance fills the air and creates an atmosphere of love. 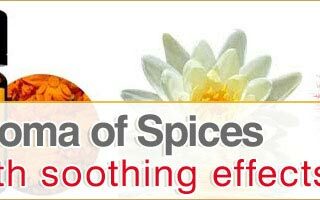 It also relaxes the mind and relieves tension and has a warming effect on the organs as it increases circulation of blood which in turn helps cure erectile dysfunctions, impotency etc. Tuberose Essential Oil is world famous for its use in perfumes and the rich, intense and long lasting floral fragrance is an ideal choice for a deodorant and that is why it is so popular in the countries with hot and humid climate, as they have to deal with sweat and resultant body odor. This essential oil is good in sedating inflammations,particularly pertaining to nervous system and the respiratory system. But to have this sedating effect, it should be used in good dilution.